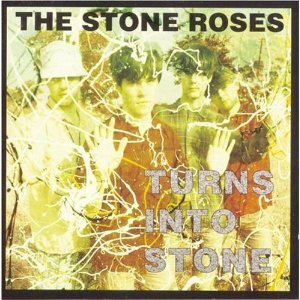 My recent true-love rediscovery of The Stone Roses convinced me that I should buy Turns Into Stone. If I love them so much why don’t I make sure I have all their songs? I absolutely love the alternate version of Elephant Stone that opens Turns Into Stone. The extended intro, sixties guitar, and weird clashy drum effect (or is he actually hitting a trashcan?) takes it even higher than the better-known version on their debut. Mersey Paradise also rocks my world and One Love sounds to me like it could be on Second Coming. Since I’ve relatively recently gushed about how much I love The Stone Roses album, I’ll spare you too much more, but I also have to note that most of these songs are clearly not quite as good as the A-sides from the properly released album. Still – they get me singing along to something as ridiculous as “Ring-a-ding-ding, I’m going down” so it can’t be that bad. 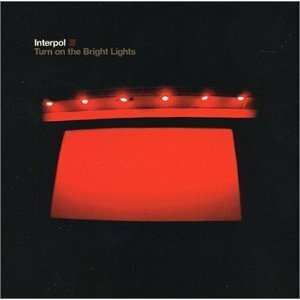 Turn on the Bright Lights is forever linked with Is This It and my early 20s. Both albums were part of the post 9-11 “I Love New York” spirit and music scene. NYC with its refrain “New York cares” and its nostalgic sway encapsulates this well. I know I made pithy comments in my review of Antics about the Joy Division love Interpol so obviously has, but honestly I think it’s only in some of the singing Paul Banks does. When he gets excitable or excessively monotonic, yes, it’s definitely there. But when he really sings (which admittedly is less often than the former) he sounds more like a normal indie crooner. I wouldn’t say the majority of the music is very Joy Divisiony either; it’s only as Joy Divisiony as any indie rock band is these days, which is a little, since their influence through the last 25 years has been so pervasive in general. I guess I’ve changed my mind a bit in the last 18 months, or have become a bit less simplistic in my analysis, anyway.